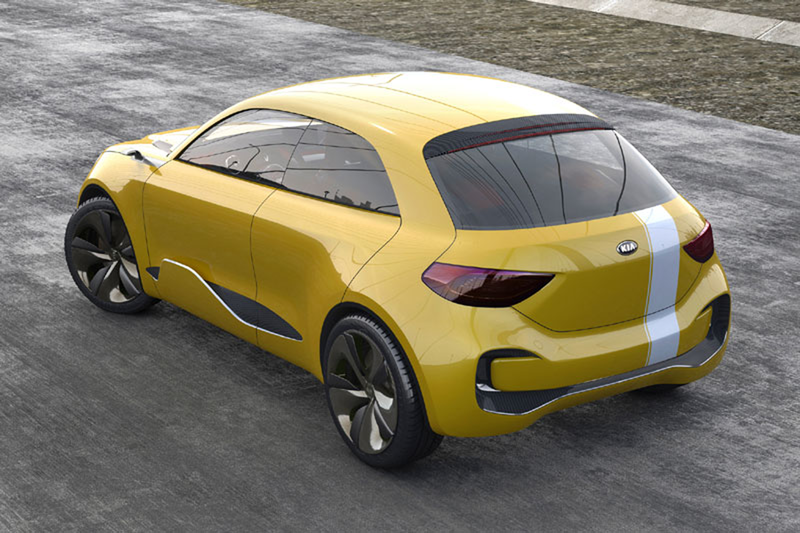 Kia CUB presented at the Seoul Motor Show 2013, Car concept coupe compact 4-door is designed at Kia's design studios in Seoul under the direction immediate of President and Chief Design Officer, Peter Schreyer. 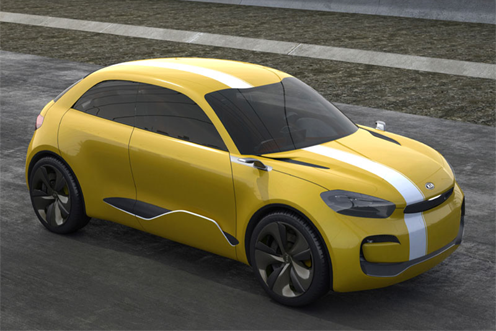 Stylish exterior Kia's CUB exudes an impression slim and small with a cool face. The interior is futuristic and unique with 4 individual seats, design instrument cluster that inspired of the eyes of wild animals, leather seats. steering wheel can also keep an eye on the driver's biorhythms. Kia CUB uses a engine 1.6-liter GDI (Gasoline Direct Injection) powered 240 hp and torque of 265 Nm. These machines are found in the Kia pro_cee'd GT and Cee'd GT sold in Europe.